Have you ever experienced foggy weather? Low visibility and the inability to see what you know exists leaves you feeling lost in the once-familiar, now misty world around you. Not until he sun shines to evaporate the surrounding ground clouds can you really see what is around you. Fog can creep in on the human psyche too. Whether physical, mental, or spiritual, a foggy feeling in life is one that wants to leave you with little to no progress, practically stealing the potential love and positive energy that awaits you. Physical clarity brings a real feeling of being alive. It helps you bounce out of bed in the morning, avoid the afternoon slump, and even read your favorite book before bed. When you’re caught in a physical fog, you really don’t even want to get out of your pj’s. Proper sleep – Studies show that sleep helps keep you energized, repairs the body, and can even help prevent cancer. Get between 7 and 9 hours each night when you can to make sure you’re feeling your best each day. Implementing these three habits alone will help boost your physical clarity and keep you feeling alive. 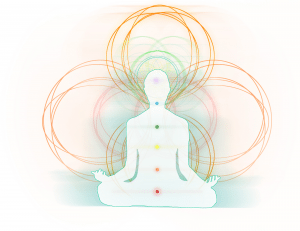 Read another post – 101 lifestyle habits that can help you attain clarity and positive living. Eat well: When you live a healthy eating lifestyle that’s high in fruits and vegetables, it has multiple benefits for your brain that will help keep you mentally, and emotionally, stable. 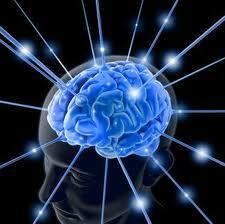 Antioxidants and micro-nutrients contained in healthy foods go a long way toward protecting brain function. As researchers have shown, many different foods have an effect on the brain. Supplements: It’s a constant battle to get the perfect amount of nutrients for your brain and body to function to its best. Taking a quality, plant based supplement shake or vitamin supplement that contains DHA, vitamin D, and vitamin B12 will help you keep your mental edge. Using these three building blocks for brain power will help keep your mind sharp and firing on all cylinders. Mental fog? Forget about it! 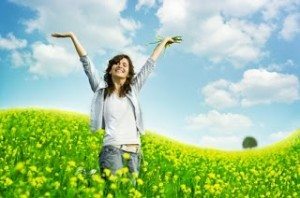 Positive Affirmations – You can heal your life through positive affirmations. If you’re new to positive affirmations, it’s okay. They are very easy. Simply create or choose affirmations that resonate with you and your situation the most. Write them down or type and print them out. Say them to yourself every single day. Even better, say them all throughout the day. If these seems silly, remind yourself that you’ve been saying affirmations about your life already every day, you just didn’t realize it. Positive affirmations simply bring the truth back into your life. The truth that you have the potential to be healthy and well. Believe – A spiritual fog, just like real-life fog, leaves you not able to see what is truly there. Believe that a spiritual fog is simply covering up, not eliminating what is there. Allow yourself to believe that you are co-creating with the divine. Focus every day for 7 seconds on what you desire to send it to the Universe, and for 68 seconds to help bring the beginning of that manifestation to fruition. You will see that as you ask and focus on that positive desire, it will be delivered at the perfect moment. 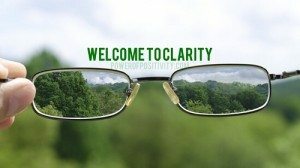 You see, it’s not that your clarity is missing or gone, it’s been there the whole time – it’s just not visible through a mental, physical, or spiritual fog. Once the light shines and warms you past the D.E.W. Point, your clarity appears once more. Take in your new clarity and witness the wonders of life. They have surrounded you the entire time.